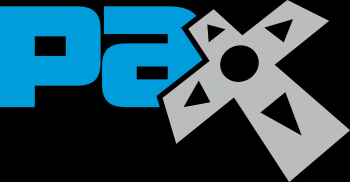 If you're gearing up to go to PAX Prime 2014 this weekend, don't forget to check out the panels hosted by The Escapist! PAX Prime starts on Friday, August 29th, and will end on Monday, September 1st. It's held in Seattle, WA, and The Escapist team will be making the trek to entertain you at three different panels. The Escapist team are seasoned PAX veterans: last year The Escapist covered PAX Prime 2013, and hosted panels during PAX East 2013. Here are the panels that The Escapist will be hosting during this year's PAX Prime. GameTrailers, GameFront and The Escapist - The Massive Q&A (Friday, 8/29, 1-2 p.m. in the Hedgehog Theatre): If you've got a burning question for the folks at The Escapist, GameTrailers or GameFront, then you won't want to miss this panel! Greg Tito, Janelle Bonanno, Brandon Jones, Josh Vanderwall, Phil Hornshaw, and Kyle Bosman will be there to answer your questions. How To Love and Hate Tabletop Games (Saturday, 8/30, 11:30 a.m.- 12:30 p.m. in the Sandworm Theatre): Tabletop gaming is a huge part of gaming; The Escapist even has a whole subsection dedicated to tabletop gaming. Diving in can be a daunting experience, especially with the variety of games available. During this panel, The Escapist's Tabletop Editor Jon Bolding will be joined by tabletop designers and experts to help you learn how to get into tabletop games, avoid bad ones, and save money on your new hobby. Building for Synergy - Symbiosis of Hearthstone and Magic (Saturday, 8/30, 6-7 p.m. in the Hedgehog Theatre): Not all card games are created equally, especially in the case of Hearthstone and Magic: The Gathering. Magic has been around for years, enjoying success in card shops around the world, but Hearthstone is a relative newcomer that is quickly gaining popularity thanks to its approachability. Find out how these two cards games are impacting the card game community at this panel, hosted by The Escapist's Josh Vanderwall and other card game experts. The complete panel schedule, with more details on The Escapist panels as well as other panels, is available on the PAX web site.